This article will briefly discuss how will hydrogen peroxide clean leach fields. Septic system owners are mandated to care for their systems. It is one of the primary rules in keeping a sanitary place to live in. No one wants to wade in filth. With this, careful treatment and maintenance of the septic system is one of the priorities in running a household. 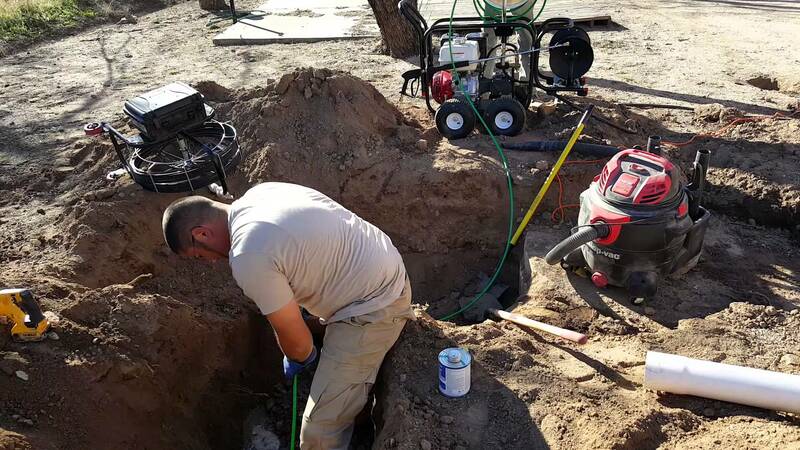 In maintaining septic systems, the owner must understand the mechanism of the system and the benefits or regular inspection and maintenance. Certain products should also be thoroughly screened so that the septic system as a whole will not be damaged or put into harm’s way. There are lots of septic system additives that are out in the market these days. There are so many of them that even experts are having a hard time telling which the real effective ones are. Typical septic system has a septic system and a drain field. The drain field drains out the effluent back into the surrounding environment through the leach fields. The leach fields are these trenches that are much like beds in a rectangular shape. They are dug in the yard and are filled with ¾ inches to 1 ½ inches of gravel. It also has a 4-inch perforated pipe in it. A geotextile fabric is then placed of the pipe-in gravel layer. The fabric is also known as a weed barrier in landscaping. Native soil is then placed on top of the fabric. Gravity alone delivers the treated effluent into the leach field. The leach field then disperses the effluent evenly throughout the soil, provided that the pipes are level. To maintain a leach field that’s in good condition, good maintenance and treatment should be done starting from the drains in the house. Filters should be used; non-biodegradables should not be dumped in toilets and sinks; and harsh chemicals should not be poured into drains, sinks, and toilets. The septic tank should also be regularly pumped out by the local septic expert. Inspection should be performed during this time so that anything that needs repairs or replacements could be attended to. When the septic expert visits the septic system, it is the perfect time to ask about the right additives that should be used to clean the system, particularly the leach fields. One recurring question is…Will hydrogen peroxide clean leach fields? Hydrogen peroxide has always been known as a cleaning agent. In the health department, it is often seen in first aid kits or medicine cabinets as a primary means to tend to wounds. It bubbles up when it comes in contact with blood. But this hydrogen peroxide is not close to the concentration used by septic experts on leach fields. Septic additive companies use 35% hydrogen peroxide in dealing with the leach field. This literally shocks the leach field and rids it of every trace of solid organic waste. The hydrogen peroxide this strong and potent could only be bought, transported, and used by a licensed technician. It is also pretty expensive. For 25 gallons of this grade, you should set aside about 1,200 USD including labor. This could even go up. There has been a 98% success in using hydrogen peroxide in cleaning out leach fields. It effectively gets rid of the sludge, roots, and anything organic in the leach field, leaving it clog-free and absolutely ideal to distribute the treated effluent into the drain field. The best way about hydrogen peroxide is that even if it’s a chemical, it does not harm the environment at all. But to be completely sure that the leach field and the environment won’t be harmed when treated or maintained, it would be better to make use of bacteria based additives. Bacteria are organic as well. You don’t have to think about whether it can harm anyone or anything when they are used. It would even be more economical because bacteria will lessen the frequency of pump outs and treatments. Do laundry detergents or soaps harm cesspools?